Chloe Kim was the top qualifier in women's snowboard halfpipe. Chloe Kim is a 17-year-old sensation who appeared in her first Olympics on Monday night. Shaun White is one of the most decorated snowboarders ever, appearing in his fourth Olympics. Kim won the women's snowboard halfpipe with an electric first run that none of her competitors could surpass. Jiayu Liu of China took silver, while Team USA's Arielle Gold took bronze. Kim, whose parents are from South Korea, has dominated the women’s halfpipe in the years since the Sochi Games, when she was too young to compete. In 2016, she became the first woman to land back-to-back 1080s in a halfpipe contest. She began snowboarding at age 4 with her father, but does not like snow. Meanwhile, White delivered a near-perfect halfpipe performance in the men’s halfpipe qualifying rounds, setting the stage for a triumphant Olympic comeback in the finals. After falling behind Australia’s Scotty James and Japan’s Ayumu Hirano in the first qualifying run, the two-time gold medalist scored a 98.5 in the second round to clinch the top spot. White was one of four Americans to qualify for the final, joining Ben Ferguson, Chase Josey and Jake Pates. Watch Chloe Kim's halfpipe runs here. 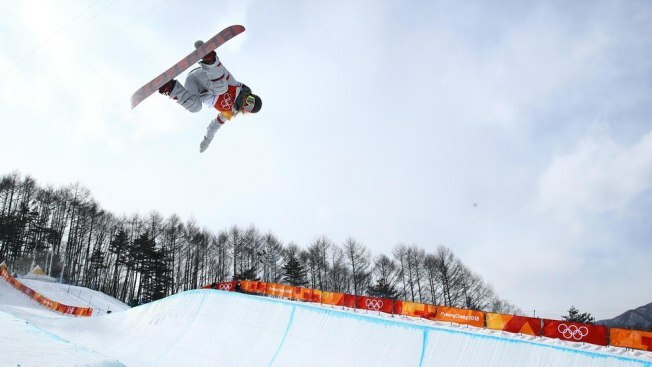 See Shaun White's qualifying runs here. Suffield native Emily Sweeney was injured during her final run of the luge competition in Pyeongchang and unable to finish. The 24-year-old was in 14th place after the third run Tuesday. During her final run, she had a nasty crash as she came around curve 12. She was down on the track, but conscious and was able to move off the track with the help of medics. After a few tense moments, she was able to get up on her feet and tried to wave away the medics as she walked off. 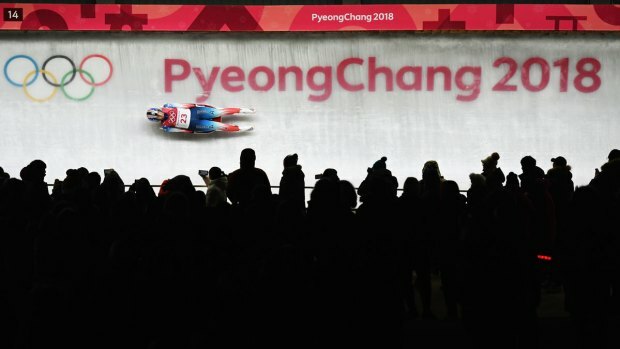 A source from USA Luge told NBC Connecticut anchor Kevin Nathan that Sweeney is very sore, but she does not have any broken bones. This is Sweeney's first Olympics. She narrowly missed out on going to the 2010 Winter Olympics in Vancouver, losing the final spot on the team to her older sister, Megan. She has been around the sport of luge for most of her life and she would love to share a medal with everyone who has supported her through the years. You can watch the final women's singles luge runs on NBCSN Tuesday beginning at 5:30 a.m. ET or watch the livestream here. Meghan Duggan (10) of the United States skates with the puck in the first period against Finland during the Women's Ice Hockey preliminary round on day two of the Pyeongchang 2018 Winter Olympic Games Feb. 11, 2018, in Gangneung, South Korea. 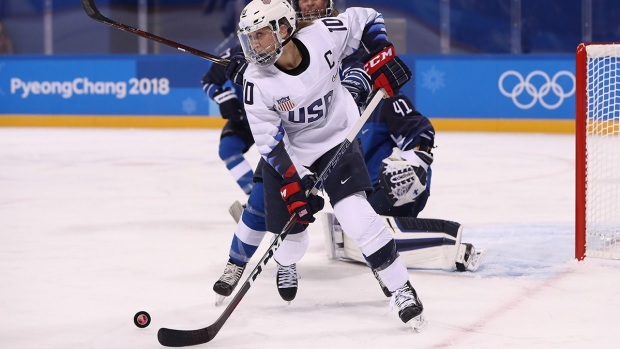 The U.S. women's hockey team was in total control Tuesday, beating the Olympic Athletes from Russia 5-0 in their second preliminary round play in Pyeongchang. The win secured them a spot in the semifinals. The Americans have failed to win a gold medal since the sport was added to the Games in 1998. Most heartbreaking was their loss to powerhouse Canada in the gold medal game at Sochi. The Canadians, their longtime rivals, have won four straight gold medals. One of the key players for the U.S. squad is Hilary Knight, who played her high school hockey at Choate Rosemary Hall in Wallingford. 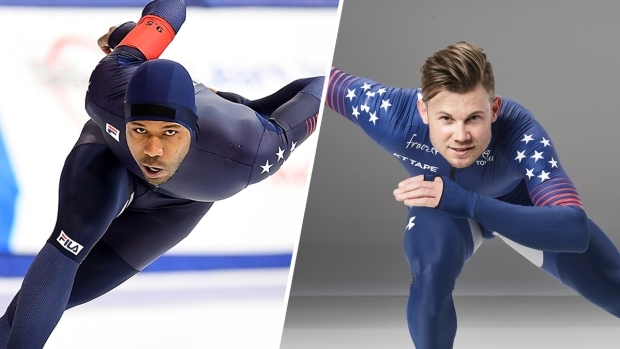 Four-time Olympic medalist Shani Davis and his compatriots Joey Mantia and Brian Hansen were unable to grab a place on the podium in the 1,500-meter long track speedskating event Tuesday. Davis and Mantia were part of the disappointing team that went without any medals at the Sochi Games in 2014, which Mantia has called "a complete disaster." The 1,500 meter is his best event and he was considered the Americans’ best shot at a medal. Mantia’s eighth-place finish was the best among the Americans and an improvement on his Sochi results, but nowhere near the Netherlands’ Kjeld Nuis, who took gold. Team USA hasn’t won a speedskating medal since the Vancouver Olympics in 2010. United States Matt Hamilton's broom points near stones during their mixed doubles curling match against China at the 2018 Winter Olympics. It wasn't the Olympics the #HamFam was hoping for in the mixed-doubles curling competition. Matt and Becca Hamilton, the brother and sister team from Madison, Wisconsin, did not fare well in the event in Pyeongchang. Instead, they'll be watching the Canadian team take on the team from Switzerland in the gold-medal match. 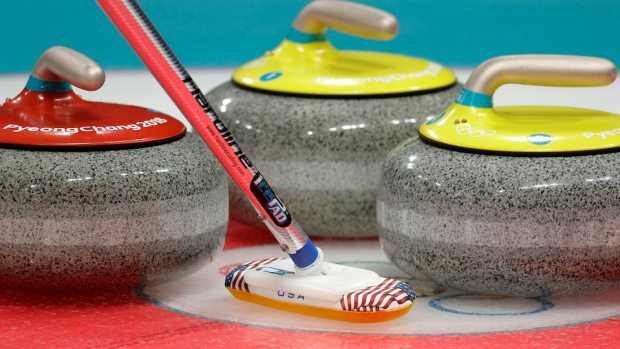 You can see the mixed-doubles curling gold medal match at 6:05 a.m. ET Tuesday here.